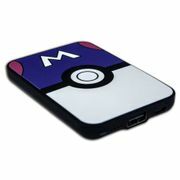 You may be interested in buying a credit card holder. Make sure to use the latest credit card voucher codes to save some money on the side. You won't have to leave home to use the latest credit card voucher codes. Save as much as 60% on selected items from Amazon, Ebuyer, ASDA, and other UK sellers. Shopping for cheap credit card holders online can be a bit challenging when you are on a tight budget. Using the latest credit card discount codes is an amazing way to get great value for your money. Get the amazing savings from the best credit card cash rewards and cash backs across the UK! Most personal finance experts discourage people from using their credit cards. They would usually do this with good reasons of course. Without any abuse, this little plastic can actually be beneficial as compared to a debit card. If you are cautious and responsible enough, you can actually keep your cash transactions to a minimum with your cc. Credit cards are issued so that users can pay their merchant for services and goods with agreed charges and mode of settlement. Usually, there is a granted credit line to the cardholder. Moreover, the borrower can withdraw cash in advance too. Meaning, a credit card becomes a combination of payment services and other kinds of credit extensions. What is advantageous about credit cards is that they offer most customers with an easy way to track their expenses. Hence, this is vital so that they can monitor their personal expenditures and track their work-related expenses. The latter can be useful for reimbursement and taxation purposes. In almost all parts of the world, credit cards are accepted. They are available in variety. Moreover, there are repayment arrangements and added perks may include insurance protection and rewards schemes. This is where the points earned because of buying goods are redeemed through cashback, services and goods later on. Credit cards have really gone a long way. As a matter of fact, they have inspired many products to come to life. 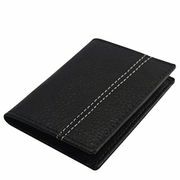 Today, it is simple to buy credit card novelty gifts, holder leather wallet, protectors shield, bottle opener, magnifying glasses, and other accessories and related items. 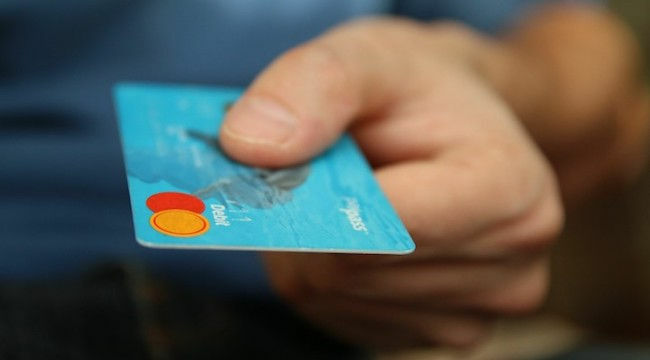 If you are thinking of getting a credit card, or if you want to buy products connected to it, you can now do so without bending your budget. With the available deals around, you can get a cheap credit card even more conveniently. Where Can I Find Credit Card Deals in the UK? Take advantage of the different credit card deals. Here at Latest Deals, you can make the most of the best credit card cash rewards. Just ensure that you always check our offers so that when you need a 5 cash back credit card or a credit card wallet protection, your job becomes simple. Benefit from what we have here. 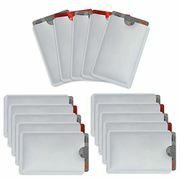 From card holder wallet womens, cut shredder with credit card slot, credit card knife, slim credit card wallet mens to any other credit card related services, we have got you covered. 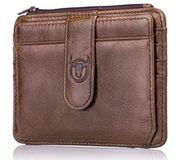 Our massive community of bargain hunters is always on the lookout to find the best possible deals on womens credit card holder, credit card holder mens and more. We have discount codes, deals and special offers just for you. Furthermore, we also have a team of money-saving experts who regularly share essential shopping tips and tricks that can help you get some serious money off on your online and instore purchases for credit card holders metal or slim credit card holder. Most UK retailers have sale events, seasonal clearance, and flash sales where you can even get a £30 money back on your transaction. They also reduce their prices during Black Friday, Cyber Monday, and Boxing Day. But if you want to maximise your savings, make sure to use the latest credit card discount codes you can search here. There are also voucher codes where you can get freebies and free shipping. This is a bargain you can get for credit cards. Credit Cards have the best rewards and points.Majority of the credit card rewards out there are in a point system. Yes, you can earn points for every pound that you spend. Moreover, companies offer special treatments like a three-month promo period where you have to spend in a particular category. This can involve transportations or restaurants. When that occurs, you can get triple or double of your usual points. Once you have reached a certain threshold, you can redeem your points. Credit Cards give cash back. The idea of this was quite simple. When you utilise the card, you may get 1% refunded regardless of what or where you purchase. This concept has grown a lot. You can even encounter cards that offer 2% to 3%. There are those which give as much as 6% back. They do on selected items. There can also be a higher rate of cash back. Watch out for this! Credit Cards have frequent-flyer miles. This is a perk that many loves for sure. Every airline seems to follow this trend for as long as there is a credit card available. Basically, the idea is for cardholders to rack up miles on a rate of a mile for every pound spent. The points redeemed here can work for a plane ticket. Hence, it works well for those who fly a lot. Credit Cards are safe. When you pay with a credit card, you make it easy to avoid losses. The idea will enable you to manage your finances well. At least, you can go to a store cashless and that should be fine. You do not have to worry about carrying around a big amount of money. Credit Cards have a grace period. Once you purchase with a credit card, you are assured that you can still expect money from your wallet. You can save it for later when the credit card bill comes. There are reasons why it is helpful to hang on to your funds for extra time. At least, your cash will be able to spend more time in your bank account. Credit Card Alarm. This device is what you need if tend to forget quickly. Basically, it will hold your credit card. Afterwards, it will alarm for every 20 seconds when empty. While it is not that loud, it will surely help you to get your card bank for every transaction. It suits well in the wallet too, which is exciting. Credit Card-Processing Phone. Yes, this is a mobile phone on the surface and then a credit card machine on the back. This product has been introduced to many merchants already, going far from its early launch in Kenya. For small vendors on the move, this can be useful. Credit Card Flash Drive. If you want your flash drive handy, this is the answer. At least, this wallet flash will not be worrisome to carry around. As a matter of fact, it is almost like a credit card. It will fit in your wallet without struggles. On top of this, it is also double-sided. This is why it is simple to connect to most USB ports that are hard to reach. Card Organiser. This organiser can keep cards in your wallet without disarray. Basically, it has six labelled buttons. Everyone can push two cards so that you can retrieve them easily. There is also a clip for your business cards, cash, or anything else. Credit Card Bottle Opener. A stainless steel bottle opener that is also handy. Expect to whip this right away when you have to open a cold one. Credit Card Cufflinks. With this, you do not ever have to worry about going on a fancy soiree and forgetting your cufflinks. The only thing you have to do is whip your credit card-sized tool on your wallet and you are set already.